When families book hotel stays, many parents choose hotels that provide a complimentary breakfast for guests. Business travelers also keep their company travel expenses in check by choosing business hotels that offer breakfast. Bottom line, complimentary breakfast in hotels saves the guests money. I've heard from readers in the past saying they don't always eat breakfast in the hotel because the hotel breakfasts are usually not very good in this select-service market. 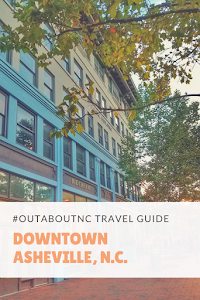 Some say they would rather explore the area they are visiting by dining in local restaurants. However, to many travelers, hotel breakfasts are convenient and for many, it is a morning necessity. The Hyatt brand wants its guests to enjoy its complimentary breakfast and are taking it up a notch by offering a new innovative breakfast experience that puts the power of breakfast in guests’ hands with customizable Build Your Own Breakfast Bowls and Greek Yogurt Parfaits. I've stayed in both Hyatt Place and Hyatt House and on those stays, I thought the brand did breakfast service well. 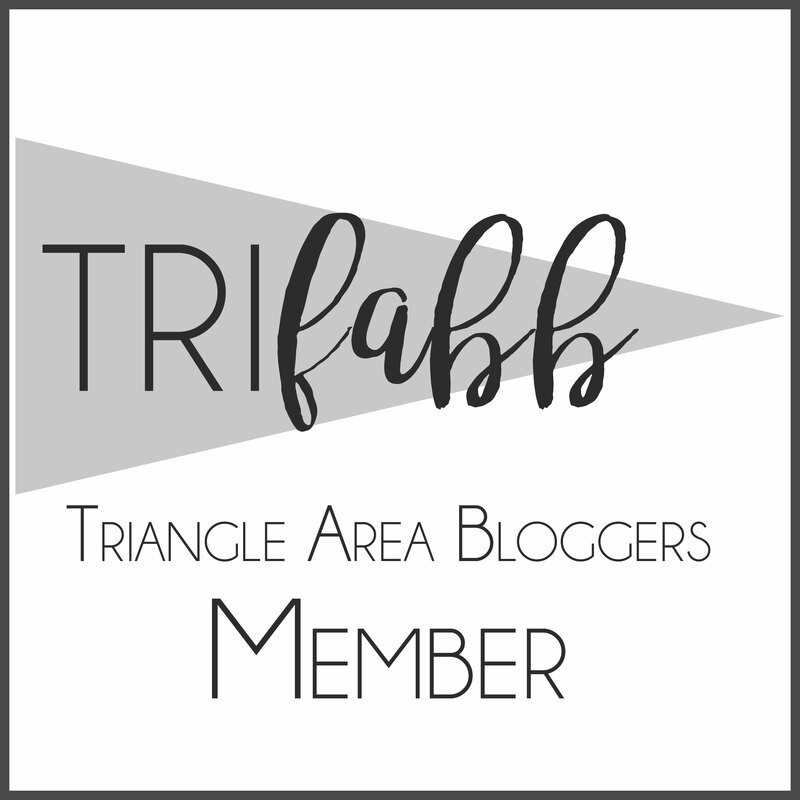 When we were redoing our hardwood floors in our Raleigh home before putting it on the market to sell, I spent three nights at the Hyatt Place near the PNC Arena. The kids and I looked forward to breakfast each morning. It saved us money plus I didn't have to cook breakfast. Expanding on the “You’ve Come Too Far to Settle Now” platform, the Hyatt Place, and Hyatt House brands are inspiring guests to elevate their on-the-go routine with convenient dining choices that flex to meet their needs. The new Hyatt Place “Build Your Own” complimentary breakfast reminds guests not to settle when it comes toy the most important meal of their day. 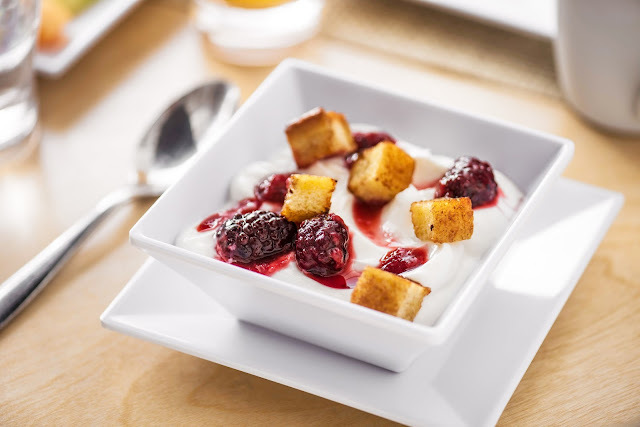 With the customizable breakfast bowls and Oikos® nonfat Greek yogurt parfaits, guests are sure to find the right balance to fit their morning routine – from premium ingredients, such as cage-free eggs and all-natural bacon and sausage, to more indulgent ones, including a warm caramelized banana yogurt topping. 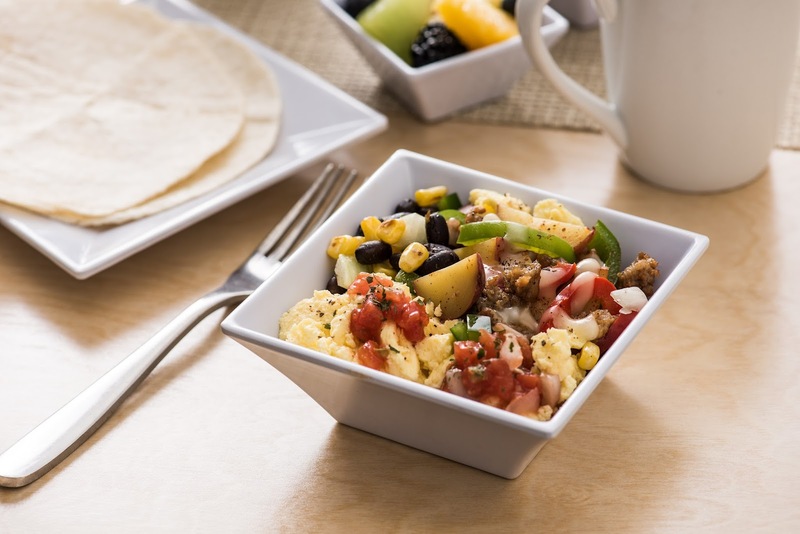 Now available at Hyatt Place hotels across the United States and Canada, uniquely themed breakfast bowls and Greek yogurt parfaits are offered throughout the week to add variety for guests. 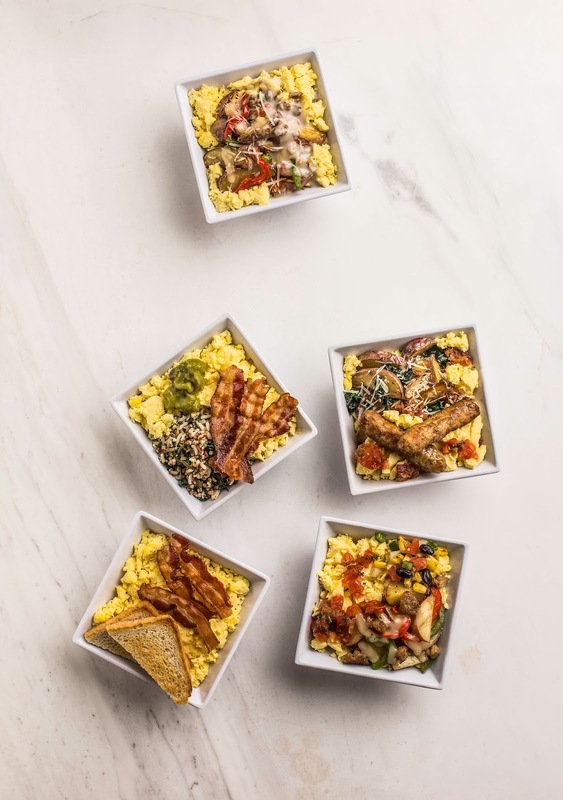 The launch of these new breakfast offerings was celebrated with the first-ever #WhySettle Battle of the Breakfast Bowls cooking contest at Hyatt Place New York/Midtown-South. Hosted and judged by Katie Lee, American cookbook author, host of Cooking Channel’s Beach Bites and co-host of Food Network’s The Kitchen, the cooking contest invited five student chefs from the Institute of Culinary Education (ICE) to create the next iteration of the Hyatt Place Build Your Own Breakfast Bowls – in under 30 minutes! Submissions were evaluated by a panel of judges including Lee; Chef Mark Krystopa, director of culinary operations for Hyatt Place and Hyatt House; and Ksenia Avdulova, founder of @BreakfastCriminals, a digital platform dedicated to starting your day right. 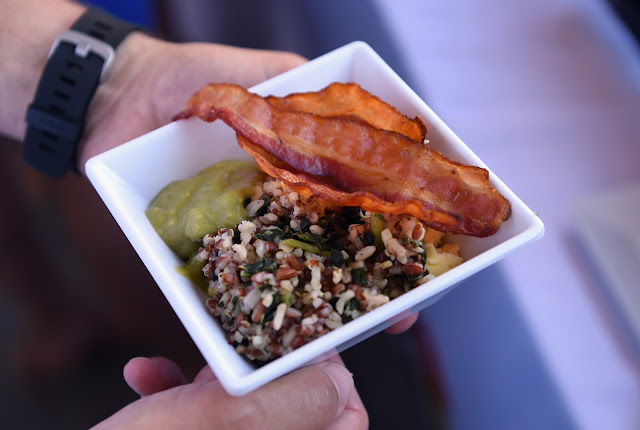 The winning breakfast bowl, The Nomad Bowl, created by Brooke DiResta, featured premium ingredients including; soft-boiled cage-free egg, toasted ancient grains with kale, sausage crumbles and charred lemony asparagus ribbons. In addition to winning the coveted title of #WhySettle Breakfast Bowl Champion, Brooke also received USD $10,000 to continue pursuing her culinary passion Brooke's winning bowl will appear on the 2018 Hyatt Place Build Your Own Breakfast Bowls menu. 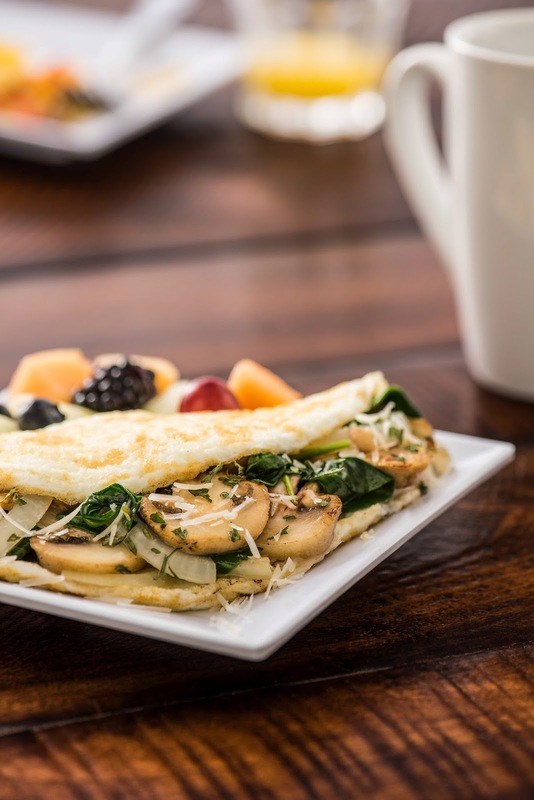 Alongside the new breakfast experience at Hyatt Place hotels, Hyatt House hotels also recently introduced the new “Omelet of the Day,” enhancing the current made-to-order Omelet Bar by giving guests daily breakfast inspiration while on the road. 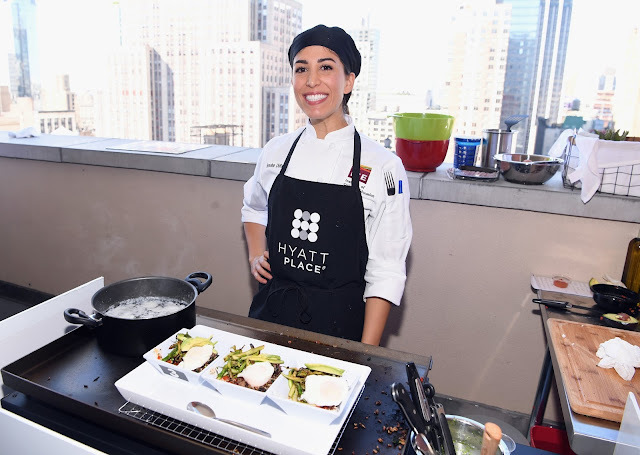 Additionally, the Hyatt Place and Hyatt House brands introduced new for-purchase menus in Knowing that traditional meals are evolving and consumers are changing their eating habits, the two brands incorporated new bar bites and shareable items into their menus, including street tacos, charcuterie boards, crafted sliders and more. 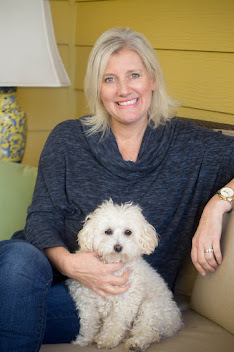 “Our guests are at the center of everything we do. 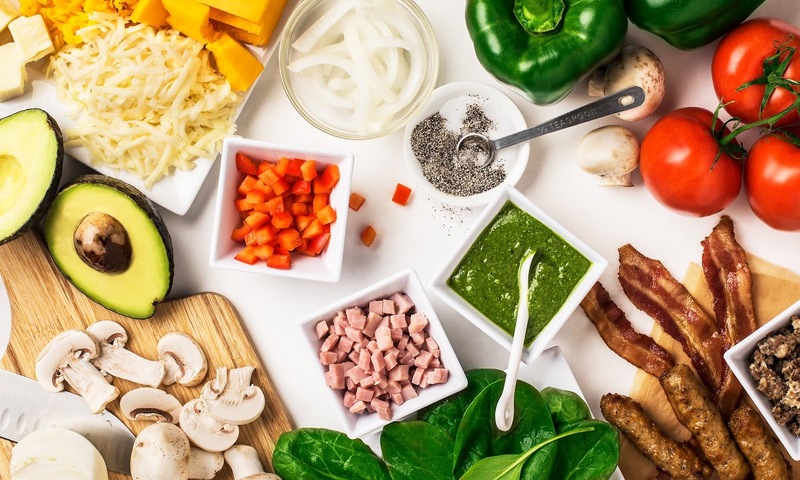 We know they are looking for meals with high-quality ingredients and we want to be able to give them the opportunity to customize their dining options so that we can make every visit – from a one-night stay to a week – feel personalized and unique,” said Chef Mark Krystopa, director of culinary operations for Hyatt Place and Hyatt House. Visit our Book your Hotel tab plan your next stay so you can enjoy a complimentary breakfast from Hyatt.